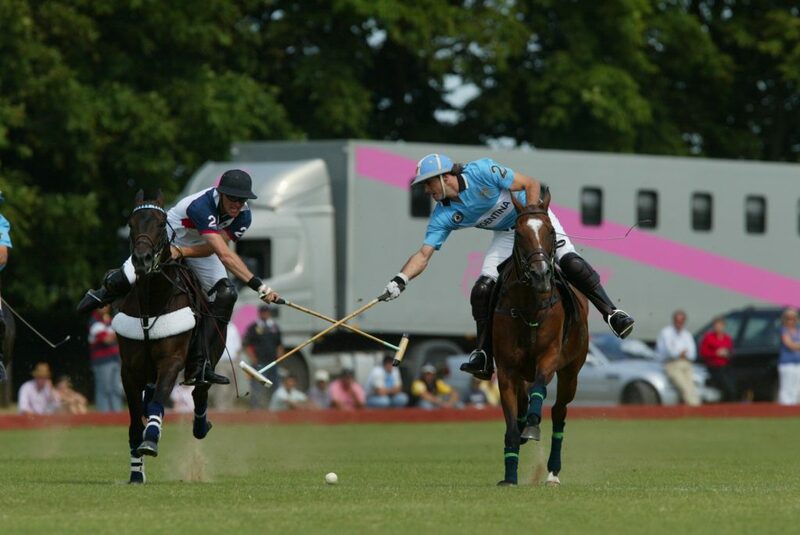 Polo is the oldest ball sport in the world dating back to 600 BC. 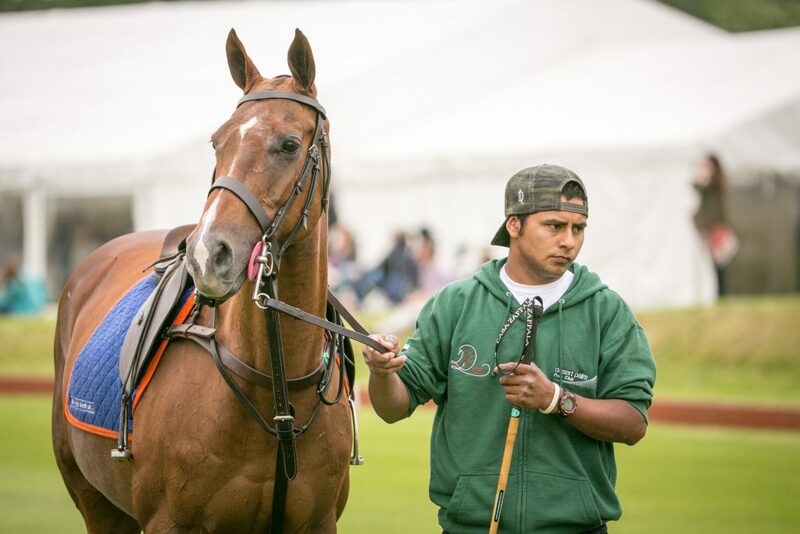 Polo is derived from the “pulu”, the willow root from which the polo balls were crafted in Tibet over 2000 years ago. The sport gradually spread through Asia to India, where it was introduced to tea planters and British soldiers, who brought the game to England. The first match was played in the UK in 1871 between the 9th lancers and 10th Hussars. 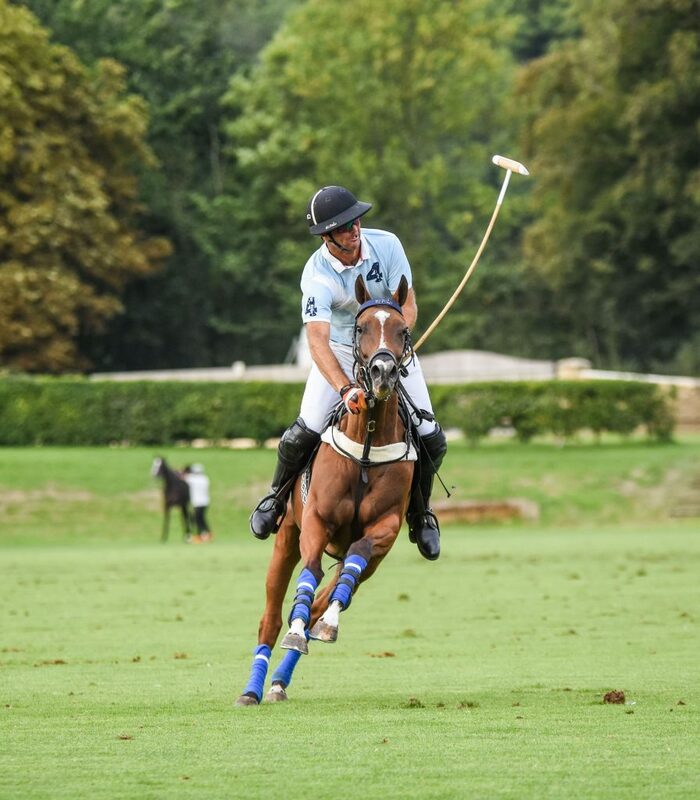 One of the players in this match was Captain Frank Henry who started the Beaufort Polo Club in 1872. 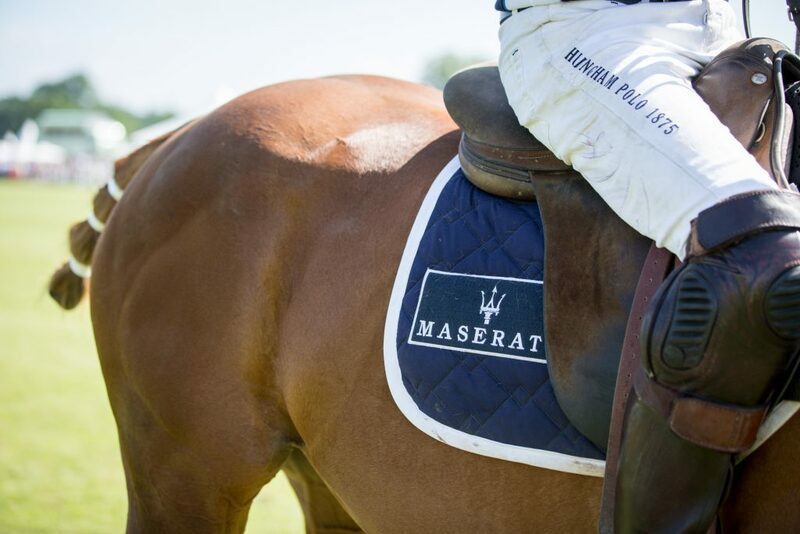 What makes polo such a special spectator sport is that you don’t have to be familiar with the rules, allowing you to take in the thrill and excitement of one of the fastest team sports in the world. 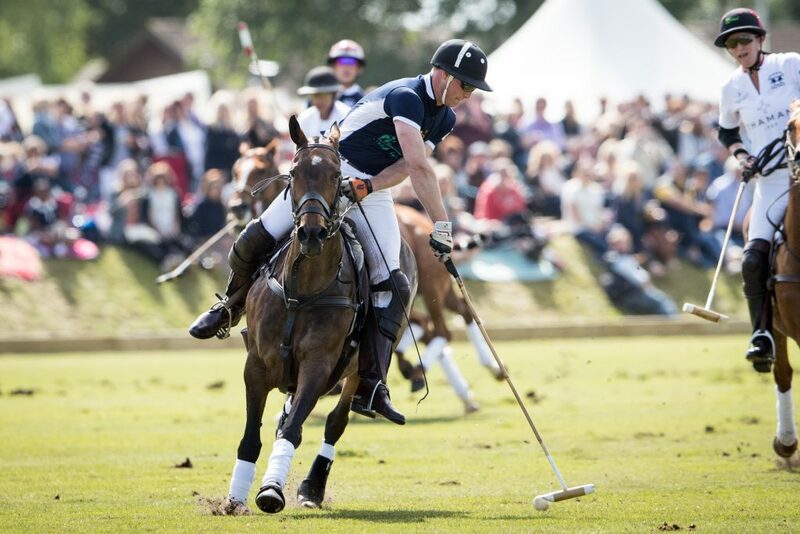 The following information is designed to give you an insight into the finer parts of the game of polo. The aim of the game is to score more goals than your opposing team! Play starts initially, and after each goal, with an umpire throwing the ball among the players in the middle of the ground. Ends are changed after each goal – this has been found to be the fairest way for teams not to be disadvantaged by wind or slopes on the pitch! When the ball goes out of play over the sides of the ground, teams line up side by side five yards back and the ball is thrown in. If the ball crosses the back line, being last touched by the attacking team, the defending team takes a free hit from where the ball crossed the line. Should the defending team hit the ball over the back line a penalty is called and the attacking team is given a free hit from the 60 yard line opposite where the ball went out. There is no ‘corner’ or offside as in football. The ground is 300 yards long (274m) long and 200m (182m) wide, or if there are boards down the side (to help keep the ball in play) then 160 yards 182 wide. The goal posts (collapsible on severe impact for safety) are eight yards (7.3m) apart. There is a line at the centre of the ground and penalty lines, 30, 40 and 60 yards from each back line. 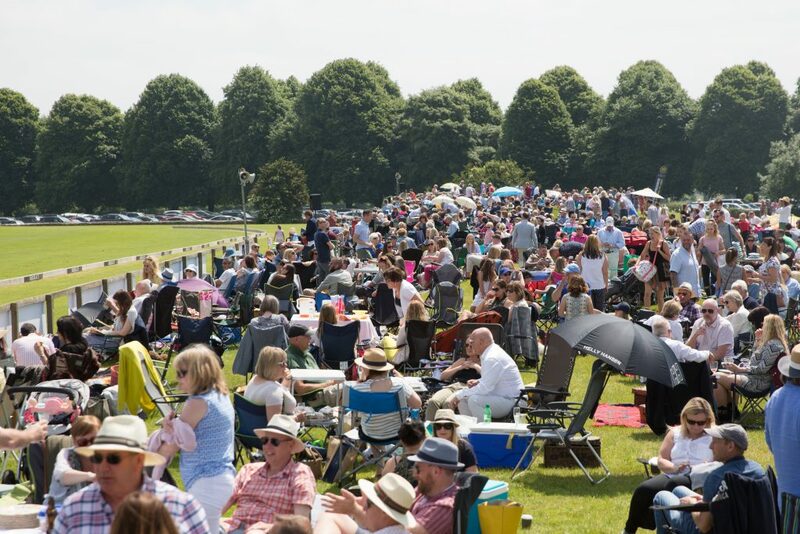 A polo ground is roughly the size of 6 football pitches! The game is played over four, five or six periods of 7 minutes each which are called by the Indian name “Chukka”. At the end of the Chukka the first bell is rung, but play continues until the ball goes out of play or the second bell is rung after 30 seconds. 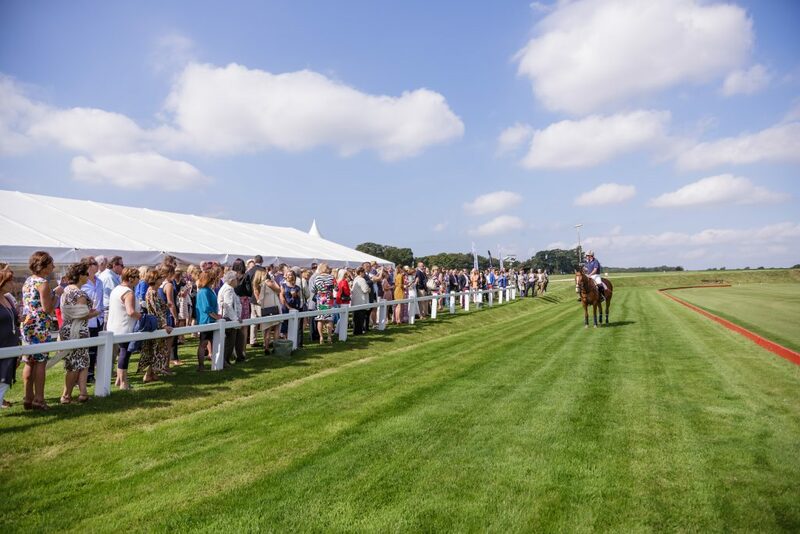 There are four players in each team, two mounted umpires on the ground and a referee in the stand, who acts as an arbiter in the event of the umpires being unable to agree. 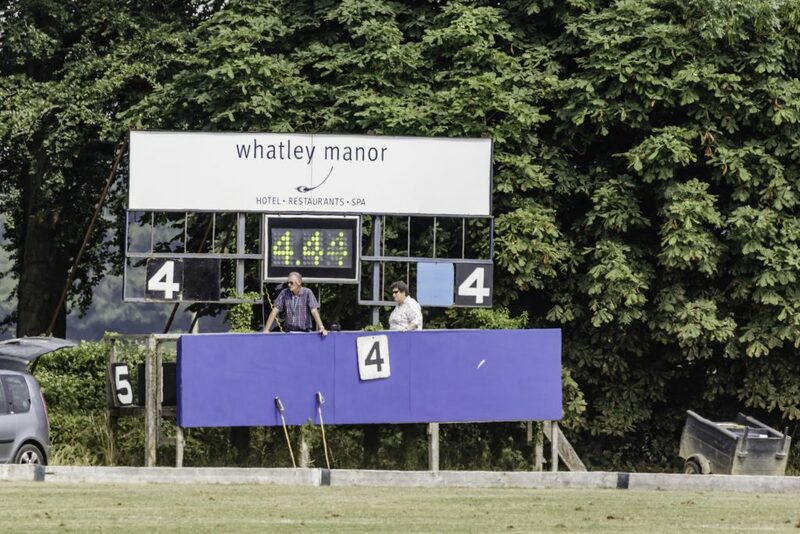 There are also goal judges who signal goals by the waving of a flag behind the goal and time keepers who keep score and signal the end of the chukka. Forward. The number 1 should have fast ponies to quickly turn defence into attack, slip the opposing back and with accurate rather than powerful hitting score goals. Forward basically. The number 2 should be well mounted to mark the opposing number 3. In defence but support his number 1 in attack. Similar to a centre half in football. He controls the speed and direction of the game and usually his passes to the forwards start an attack. Each player has a handicap from minus 2 up to 10, which reflects his or her ability. There are currently less than twelve 10 goal players in the World, most of whom are Argentine. The highest handicapped English players are currently 7 goals. 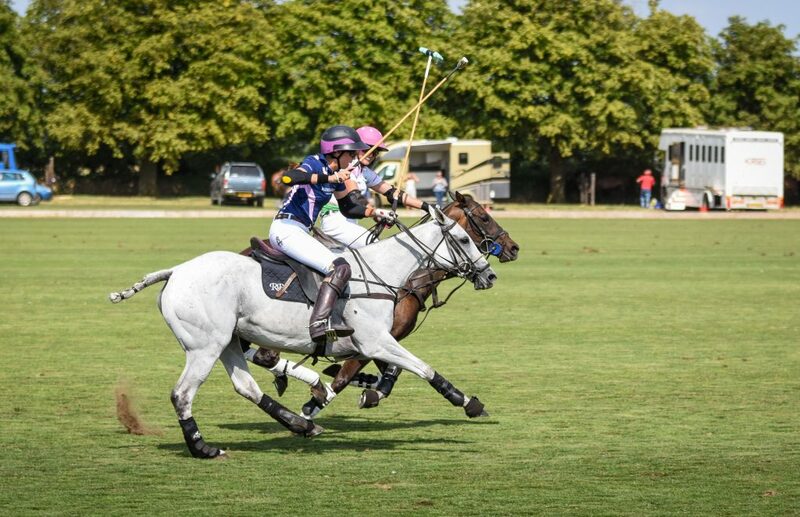 In handicap tournaments the number of goals start is obtained by multiplying the difference between the two teams total handicap by the number of chukkas to be played and then dividing by 6. Any fraction counts as half a goal. The sticks are made of bamboo shafts and hard wood heads. The length of the stick varies according to the height of the pony being played and varies from 48 to 53 inches. The ball is hit with either face of the head and not with the ends as per croquet! The ball traditionally either bamboo or Willow is made of plastic. There is no height limit but most ponies are between 15 and 15.3 hands (a hand being 4 inches high). Much of their schooling is devoted to stopping and turning quickly and being able to accelerate and ride-off another pony and to face a fast approaching pony. 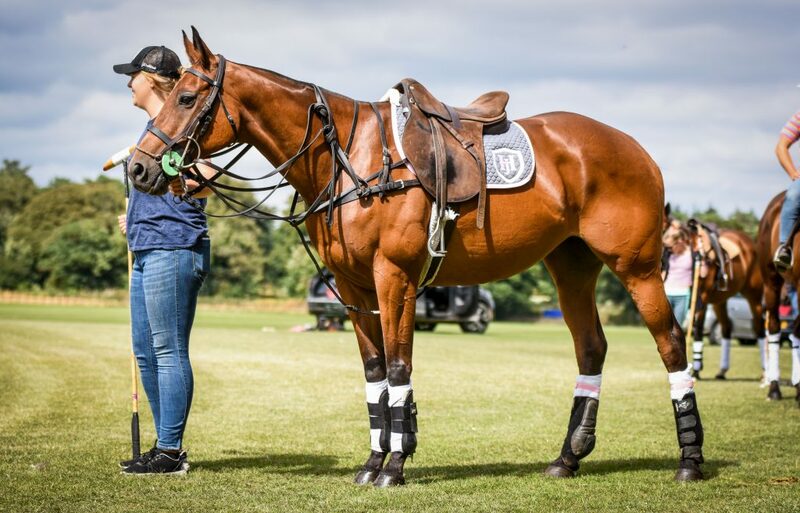 Ponies usually only play two chukkas in an afternoon with a rest of at least one chukka in between. Bandages or boots for support are compulsory and a pony blind of an eye, showing vice or not under control may not be played. The most common foul occurs as the result of a player having ‘the right of way’ being crossed by another player which would be very dangerous. 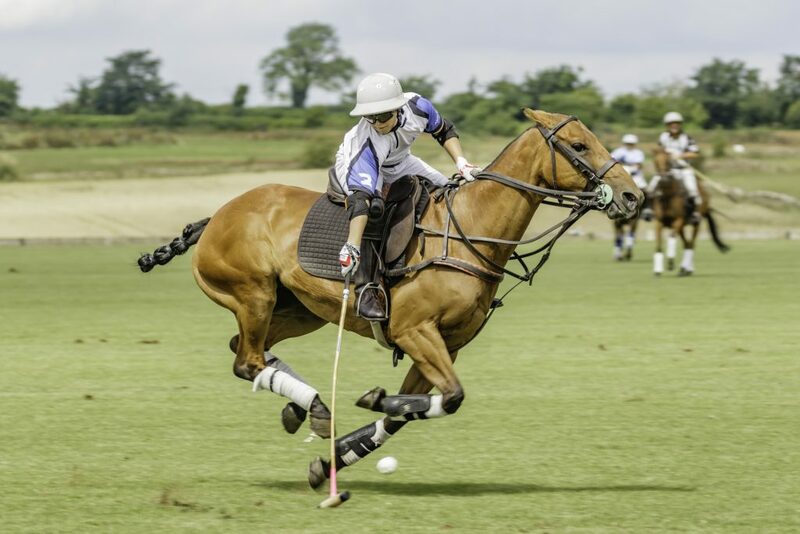 A player has a ‘right of way’ when he is following the ball on its exact line or is closest to it; he must not cross this line if by so doing there is any possibility of another horse having to check in order to avoid a collision. Players may ride-off an opponent using his/her body (not elbows) and pony to push their opponent off the ball, although this must not be at an angle and that the ponies are level. A player may use his stick to hook an opponents stick to spoil a shot, but not above shoulder height. Dangerous riding, rough handling or misuse of the polo stick are not allowed. Penalties vary according to the degree and place of the foul. In order to try and win the line of the ball, a player can attempt to push their opposition off the line using their pony. Weight, size and skill all add to the success of the ride off. Simply two kinds of shots performed in polo, one that is hit forwards and one backwards. Most commonly performed on the right hand side of the pony. A hook is when a player can use their stick to prevent their opposition’s stick from hitting the ball. 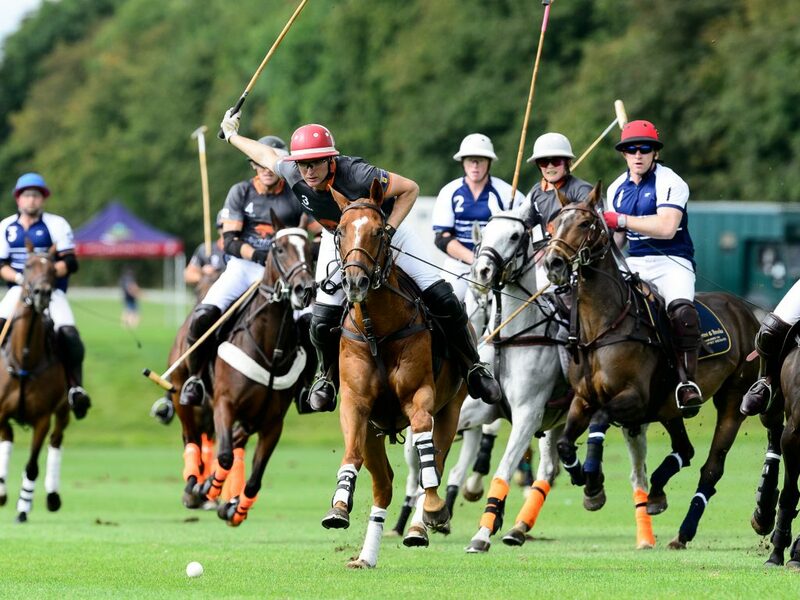 However, there are rules that go with this, the stick must never cross the pony’s legs, it is incorrect to hook someone when the stick is above shoulder level or from the left hand side of the horse if the player is attempting to hit from the right.